On the day UK companies publish their gender pay gap reports (April 4) our Women Behind the Wheel campaign is encouraging more women to become bus drivers. The Brighton recruitment day at Churchill Square in May gives women the chance to get into the driver’s cab and to get the lowdown on what it’s really like to be a bus driver from some of the women who drive our buses, with a similar event happening in Crawley in April. Assistant Operations Manager Kirstie Bull began as a driver at Brighton & Hove in 1998. Kirstie has worked all around the business as a driver; mentor; supervisor and scheduler, as well as in customer services and finance. She also shadowed assistant operations managers at Go-Ahead London before becoming one back here in Brighton. Our current driver recruitment campaign can be seen on buses and posters around the city. The campaign aims to show that drivers come from all different kinds of backgrounds and bring different talents, like ultra-marathon running, scuba diving or drumming. We want to recruit more women in all areas of the business, not just bus driving. 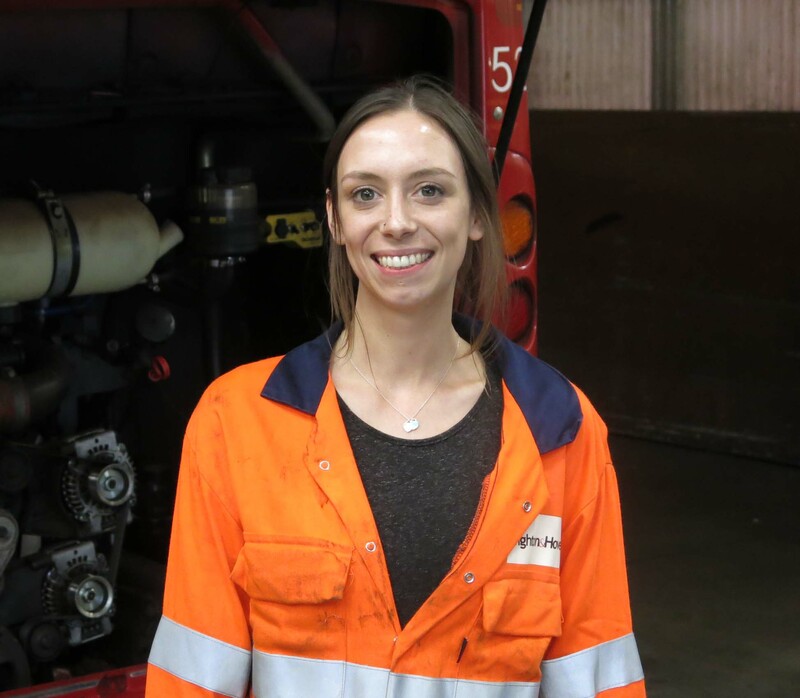 Kylie Griffiths is coming to the end of her three-year engineering apprenticeship at our Conway Street depot in Hove. She’s also just been nominated for the Everywoman in Transport and Logistics’ UK Apprentice of the Year Award. She says her college teachers hold up Brighton & Hove Buses as an example to other students of a good company to work for. Kylie is a diversity champion on our employee-led Diversity and Inclusion group, which aims to boost the representation of women, LGBT+, BAME and disabled colleagues. Brighton & Hove Buses’ Managing Director Martin Harris says: “We’ve set a target for women to make up at least 20% of our colleagues by 2021 and we’ll keep going once we hit it. Our parent company, the Go-Ahead Group, released its Gender Pay Gap Report today. The report shows the median pay gap at Brighton & Hove Buses is 2.4%, much lower than the 17.9% national average. The mean pay gap is 6.3% at Brighton & Hove Buses, significantly lower than the national average of 17.2%. The Brighton Women behind the Wheel recruitment day is from 10am to 4pm on Saturday 11 May at Churchill Square, Brighton. A Crawley recruitment open day is planned on 18 May and a general recruitment event will be held at The Broadway, Crawley from 10am to 4pm on 27 April.